No, you don't need to be able to touch your toes. 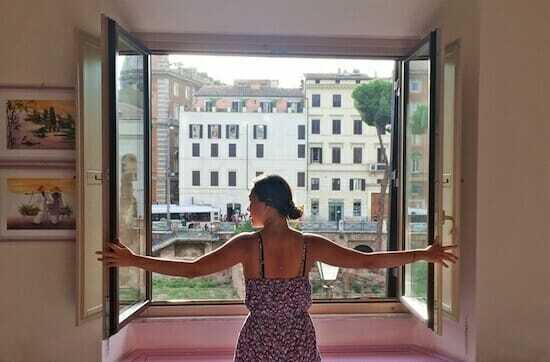 It's easier to maintain your Yoga practice while traveling than you think! Are you struggling to keep up with your Yoga practice while traveling? It can be difficult to maintain your Yoga rhythm when you’re abroad and faced with new & exciting adventures, meeting tons of people, grappling with terrible jet lag and indulging in tons of delicious food & drink…sometimes there just aren’t enough hours in the day! 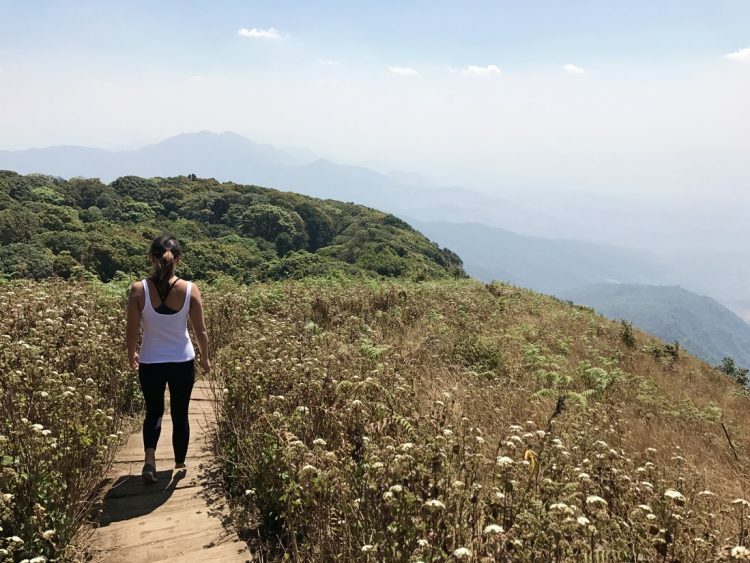 Don’t worry, I’m not about to tell you that you need to go out and buy the best travel yoga mat or new yoga pants – there are actually a plethora of ways to integrate more Yoga into your life when you’re out and exploring the world. Yoga can complement your travels and the physical and psychological benefits are endless. Yoga can reduce anxiety levels, help you maintain a sense of balance, ease your jetlag and muscle stiffness, help you stay present in your travels and create a sense of contentment. These are just a few reasons why you shouldn’t let Yoga fall by the wayside. Let’s start by exploring definitions of what “Yoga” is and what practices are encompassed. There are many ways to interpret “Yoga” – union, to yoke, connection, the removal of fluctuations of the mind and so on. One of the popular ways of understanding what practices fall under the umbrella of Yoga is through the eight limbs of Yoga. Without getting into the weeds too much, the limbs of Yoga include Yamas (ethical and moral disciplines such as non-violence, truthfulness, non-grasping); Niyamas (personal observances and how we relate to the self such as purity/cleanliness, contentment, self-study, discipline); Asana (poses); Pranayama (controlled breathing); Pratyahara (sense withdrawal); Dharana (focus); Dhyana (meditation) and Samadhi (enlightenment or transcendence). Obviously I have oversimplified these Yogic concepts, but you get the gist. To read more on the eight limbs click here. 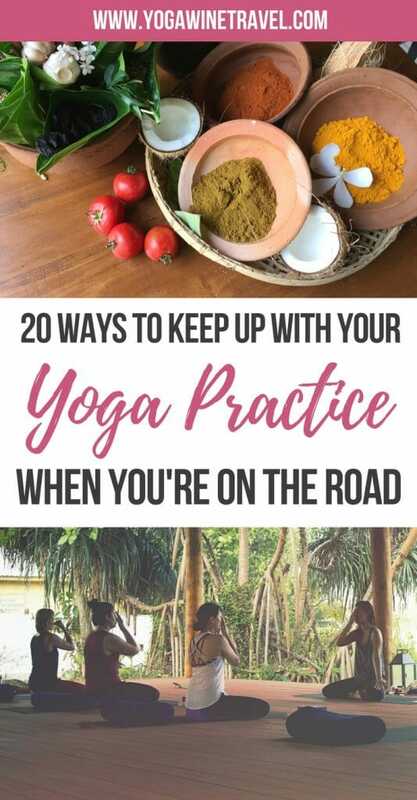 If you are still reading and your head isn’t spinning too much, hopefully the takeaways from all of this are that 1) Yoga is not limited to the physical practice, and 2) there are many ways to practice Yoga and fit it into your travel schedule. You don’t have to do 108 sun salutations in order to feel like you’re practicing Yoga (though it does feel darn good). Here are 20 ways you can integrate Yoga into your travels! Ahimsa is a guideline under the Yamas meaning non-violence and compassion towards all living beings. 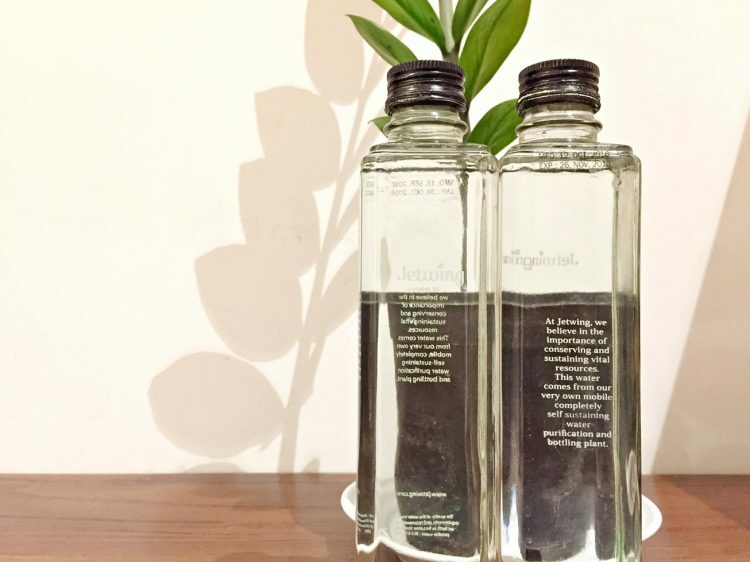 You can do your part by making environmentally friendly choices such as bringing your own water bottle and shopping bags, skipping the plastic straw at coffee shops and restaurants, buying local produce that hasn’t been hauled across the country, taking part in beach cleans and so on. There’s also no denying that air travel is a burden on the environment, but you can try to reduce your impact by balancing out your emissions. Click here for more information on carbon offsetting and some good programs to support. These are just a few ways to be good to Mother Earth. 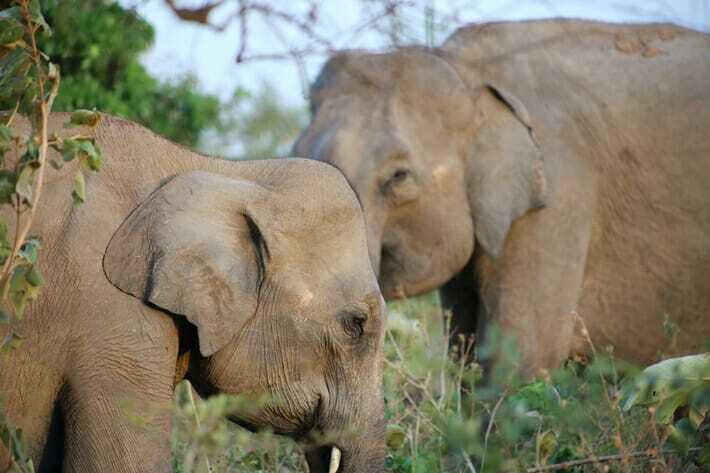 Up to one quarter of the trillion dollar global tourism industry is driven by demand for wildlife tourism. What most people don’t know is the cruelty and abuse of wild animals used in most wildlife tourism activities. These include elephant riding, swimming with captive dolphins, and posing for photos with lions and tigers. Research completed by the University of Oxford’s Wildlife Conservation Research Unit (WildCRU), commissioned by World Animal Protection, uncovered global suffering caused to more than half a million wild animals by unethical tourist attractions. Read the full report here, published February 2016. So what can you do to make sure you’re not contributing to animal abuse and ethical violations? Do more due diligence and research into animal attractions so that you partake in ethical animal interaction experiences. Don’t ride elephants, don’t pet drugged up tigers and where possible, try your best to see animals in their own wild habitat. Are you visiting an “orphanage” or “sanctuary”? Ask yourself if the welfare of the animals is above the needs of tourists, and that they haven’t just adopted the name for marketing purposes. 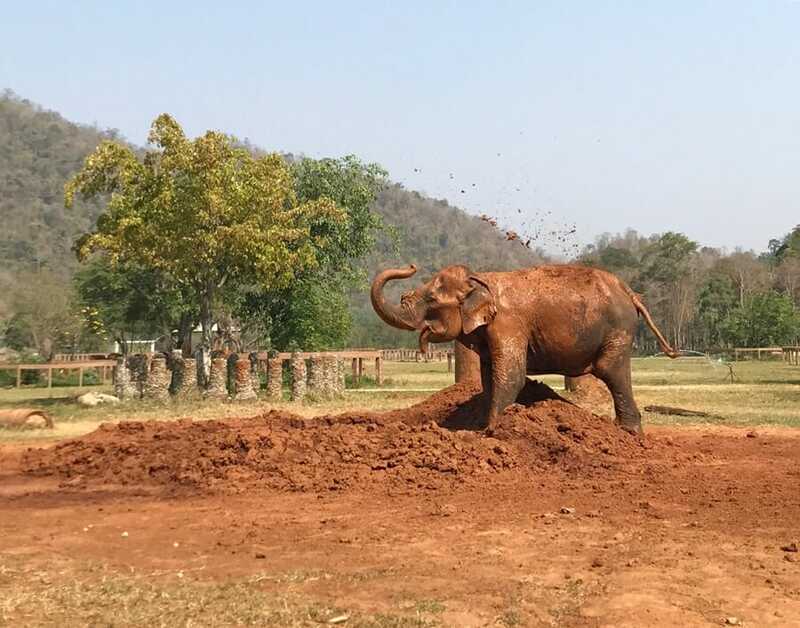 In general, orphanages or sanctuaries do not breed animals into captivity, is purely observational for visitors, and the well-being of animals is not affected by the need to constantly control them. Click here for a quick checklist so that you can make sure you’re not contributing to animal abuse. The same goes for your fellow man (and woman). 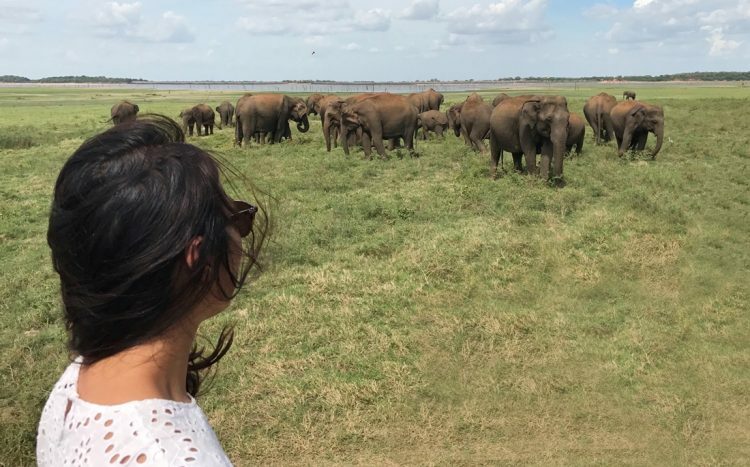 Make sure that you are comfortable with all of your travel decisions, that they are socially and ethically responsible, and that you aren’t contributing towards harmful tourism practices. For example, orphanage and slum tourism has been highly criticized and more often than not, the place itself does not benefit much (or at all) from your visit. Where ever possible, try to put your tourism dollars towards good so that it benefits the community in some way. This ties in with the Yoga concept of “Satya”, or truthfulness. 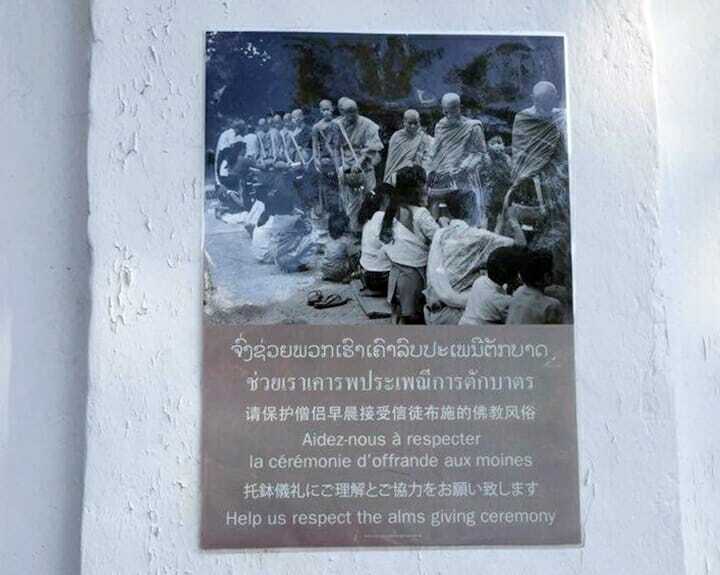 Think carefully about whether you want to take photos of people (especially children) without their permission, snap shots of people in prayer, whether you want to visit “human zoos” or participate in voluntourism. What are your intentions for wanting to go on a slum or orphanage tour? Why are you doing what you are doing? Is it for the “right” reasons or are you just hoping to get that perfect “Instagram-worthy” photo? I love the physical practice. Please don’t read this post and think that I don’t think asanas are the bees knees. All I am saying that there are lots of wonderful facets of Yoga that people don’t tend to talk about. 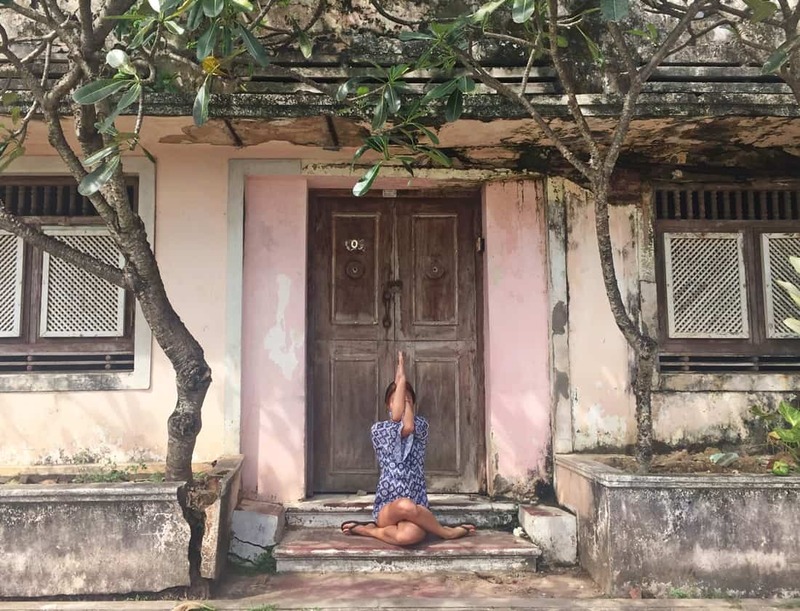 If you want to keep up with your physical asana (pose) practice, there are some great resources online and via apps for self-practice – click here for some of my favorite Yoga apps that every traveler should download. Still want to practice asana but too tired from all the exciting travels and have no energy left? Check out some of these underrated poses – some poses may seem too “simple”, don’t feel extremely intense, or we might not fully appreciate the benefits of the asana; while a deep backbend or arm balance may feel extremely invigorating and challenging, we can learn to embrace these 10 underrated yoga poses and incorporate them into the practice more frequently! 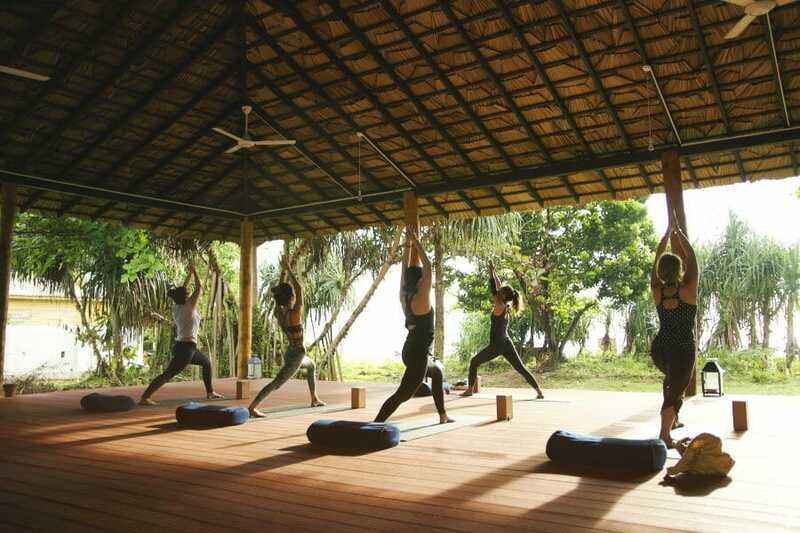 Yoga retreats and yoga holidays are becoming more and more popular for people who have a busy everyday life. 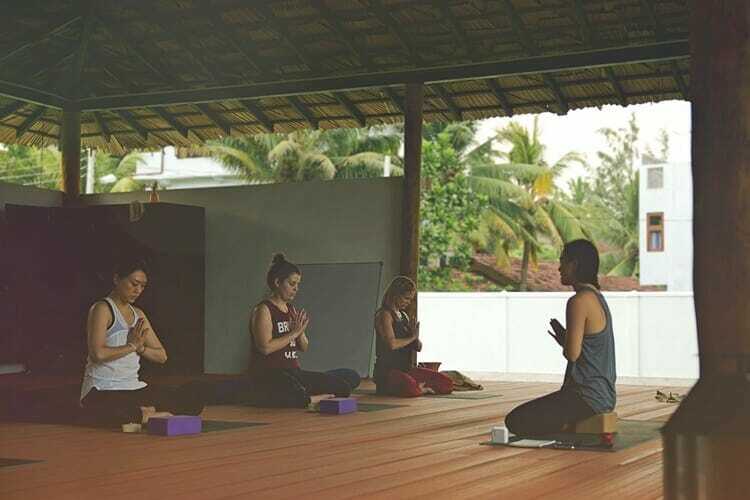 Traveling and taking part in a Yoga retreat is a wonderful way to fill your cup and enhance wellness, explore new parts of the world, be a part of the international Yoga community and most importantly: immerse yourself in Yoga. 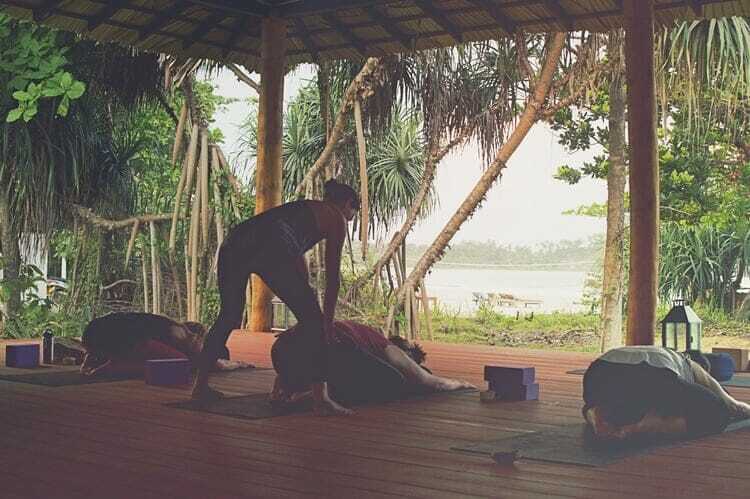 There are a plethora of Yoga adventures and Yoga retreats abroad to explore – make sure you choose a destination, teacher and program that works best for you! Whether it’s via an app or meditation through movement, because not all meditation requires sitting on a pillow cross-legged with your eyes closed! There’s also walking meditation on the beach, chanting, gazing meditation, breathing meditation and so on. The benefits of meditation have been well-documented and researched, and include enhanced immunity, stress and anxiety reduction, increases the ability to regulate emotions, improves memory, enhances quality of sleep and so on – perfect for when you’re traveling frequently! Tapas (not a reference to food), can be understood as discipline. While you’re traveling, build heat in your body and stay active by walking (one of the best ways to explore a new city), hiking, cycling, or even surfing! In addition to enhancing your fitness levels, physical activity keeps your body healthy and helps you to see the destination in a different way. Pranayama, or controlled breathing, can be a powerful tool for travelers. Techniques can be utilized to soothe the sympathetic nervous system and lead to a reduction in high blood pressure, regulate breathing and heart rate, and so on. Feeling stressed when you’re on the road? There are some simple techniques that you can learn including one of my favorites, nadi shodhana, or alternate nostril breathing. This breathing technique really calmed me down when I was freaking out and hyperventilating at the top of the Leaning Tower of Pisa! Click here for a step-by-step guide to practicing nadi shodhana. This relates to Saucha, or cleanliness. One of the worst things that can happen when you’re traveling is to get sick and have to stay in bed instead of heading out and exploring. 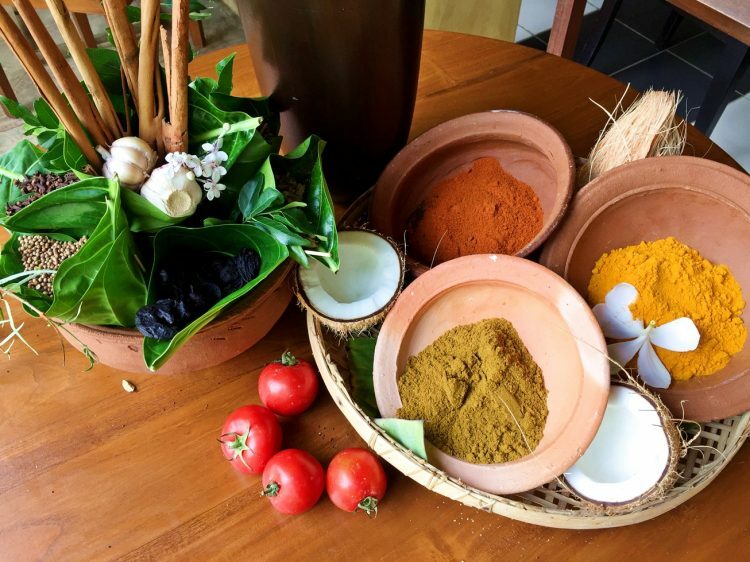 As it relates to your diet, travelers should drink plenty of water, eat lots of fruit and vegetables and keep healthy snacks lying around (dried fruit without a ton of sugar added is a great options). That’s not to say that you shouldn’t have a delicious stuffed zucchini flower fritter in Italy or egg waffles in Hong Kong – everything in moderation, right? More often than not, our environment is a good reflection of our state of mind. No one enjoys living in a dump (or traveling with someone who smells like they live in a dump), so make an effort to maintain good personal hygiene and keep your temporary living space clean – you’ll find that travelling is a lot less stressful when your belongings aren’t strewn every which way around the room! It’s almost impossible these days to go through even 10 minutes without a distraction, especially with things like Snapchat, Facebook Live and Instagram Stories. I am absolutely guilty of forgetting to put the phone down once in a while! But while I am 100% for documenting your travels (I mean, I run a travel blog so I’d be lying if I said I didn’t! ), it pays off to put the phone or camera down and just immerse yourself in the travel experience. When’s the last time you were completely present in the experience? At the Taj Mahal in India, I was absolutely shocked at how many people only looked at the Taj through a camera lens – and never directly with their own eyes. I’m making it a personal goal this year to notice and appreciate my surroundings more and let go of the distractions! Ready for a digital detox? Try your hand at a silent Yoga retreat. 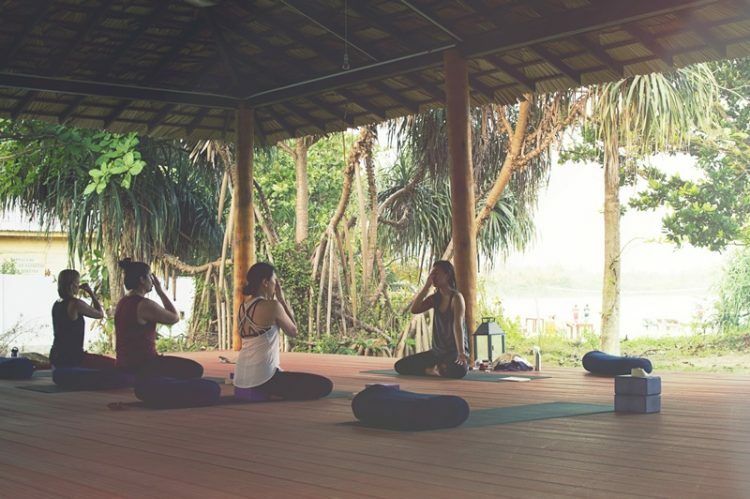 Click here for a first timer’s guide to attending a silent Yoga retreat! Look – things go wrong when you travel, it’s just a fact of life. But when you have invest hundreds (or thousands) of dollars into flights and cars, taken time off work and spent weeks planning the perfect trip, any little hiccup can be really bloody devastating. Whether you’ve missed a connecting flight, caught a bad stomach bug, gotten your wallet stolen or forgotten to apply for a visa, do your best not to cling to expectations. It goes without saying that I’m referring to smaller travel hiccups and mistakes, rather than any major accidents and happenings! Traveling gives you a great opportunity to catch up on some reading, whether it’s on the plane, on the beach or on a train. There are some great Yoga books and texts including Light on Yoga by B. K. S. Iyengar, Yoga Mala by K. Pattabhi Jois, the Bhagavad Gita translated by Juan Mascaro, The Heart of Yoga by T. K. V Desikachar, and the article “Yoga as Self Transformation” by Joel Kramer just to name a few. Making the decision to go to bed a little earlier so you can wake up early to practice asanas before going out is Tapas; not drinking too much or eating unhealthy foods because you want to feel good in your practice is Tapas. Tapas translates to “purification through discipline,” “commitment,” or “internal fire.” Decide on a realistic and achievable time you can commit to your practice each day and stick to that no matter what. This could be in the form of 10 sun salutations in the morning, 15 minutes of meditation, or a chapter a day from a Yoga book. 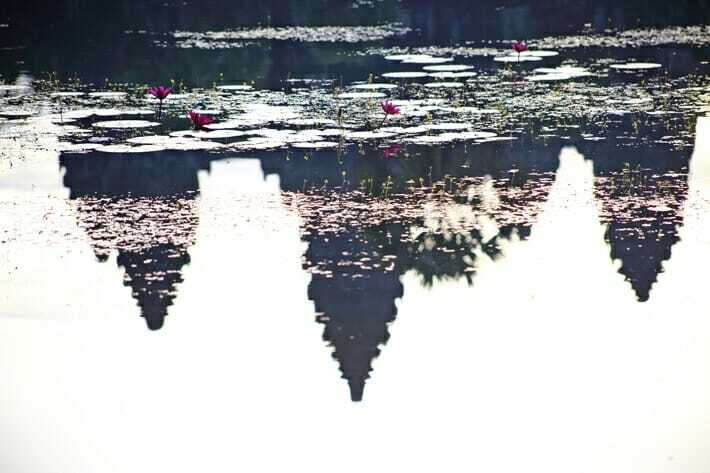 Santosha (or Samtosha) can be understood in its simplest form as contentment – learning to accept and be at peace with what you have. In the Yoga Sutra of Patanjali, it says that “contentment brings unsurpassed joy”. I’ve always been a glass half-empty person (working on it!) so as a way to practice this niyama, it’s important to me to be content with the ebbs and flows and remember the great things that happened rather than letting the not-so-great things eclipse the good. 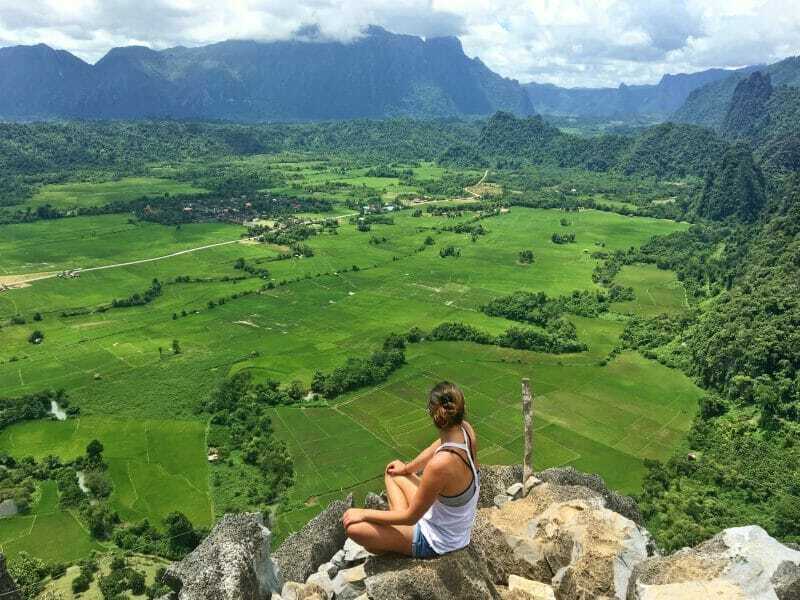 Remember how fortunate we are for the ability to travel – whether it’s because of financial reasons, the ability to hold a passport that allows us to enter countries freely and easily, the physical ability to move around and so on. I took a good hard look at my life in 2015 when I started Yoga, Wine & Travel – click to read on for 50 things I felt thankful for! Remember Ahimsa from the beginning of this post? Practice some non-violence and don’t beat yourself up if you don’t manage to step on the mat to practice. Have you been traveling for 24 hours straight without any sleep? It might be time to get some rest before you head out sightseeing. That lady at the airline counter who you’re yelling at because the flight was cancelled? Maybe stand in her shoes for a minute. 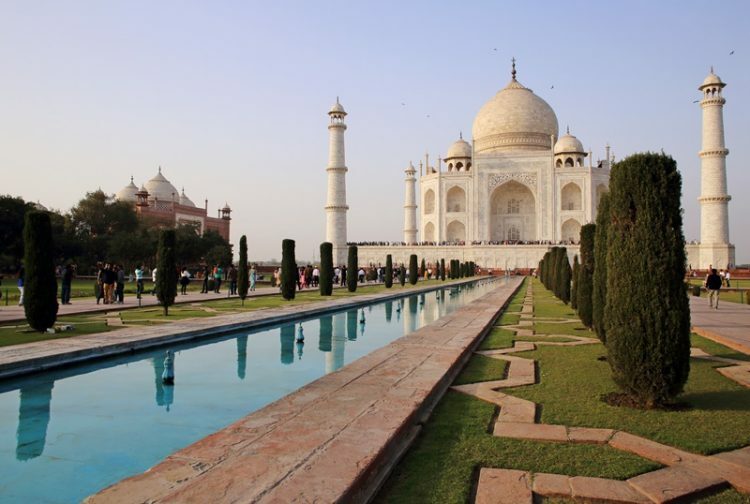 Most recently, I was shocked at how rude people were to each other at the Taj Mahal in India – pushing and shoving each other out of the way for that money shot. What for? A photo for Instagram? Would it have killed everyone to just patiently wait their turn and make sure everyone got to take their photo to show friends and family back home? Sometimes it’s worth stopping and asking yourself if you could be just a little more patient, a little more understanding and a little bit kinder. I love markets. Love ’em. When I was in Marrakech I wanted to take the whole souk home with me. 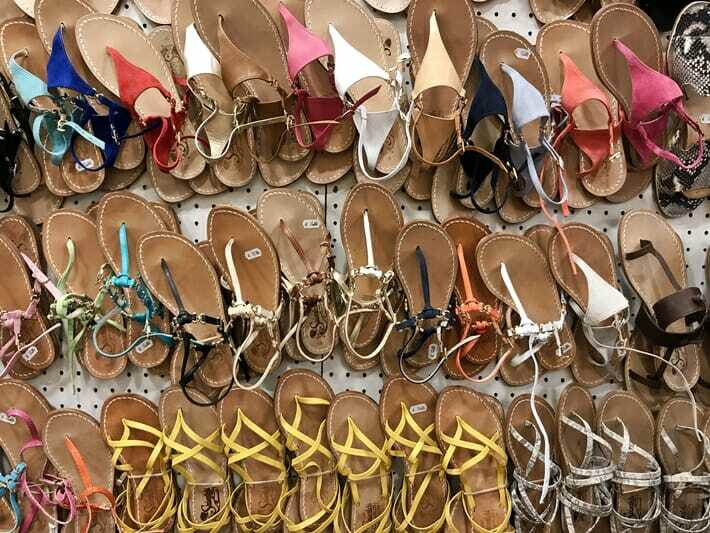 In the Amalfi Coast I wanted to buy 10 pairs of handmade Italian sandals. But do you really need another fridge magnet, scarf, wooden statue or bangle? 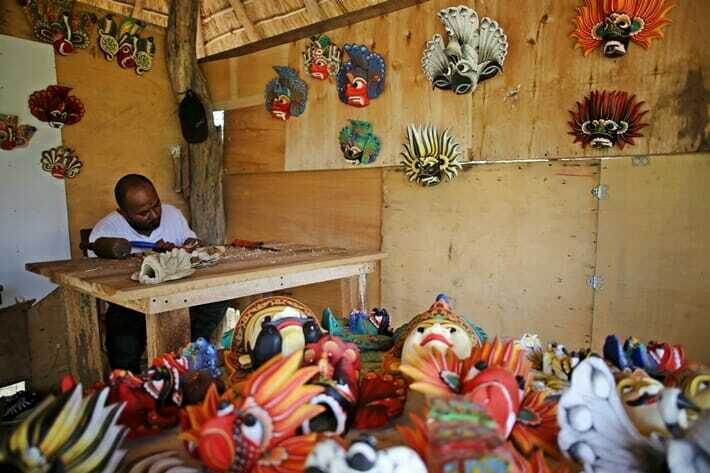 If you do fall in love with something you spot on your travels, try to buy from a small family-run shop or local craftsman so that you can support the community. If your body is tired, get some rest! It’s not always easy to do, especially when there are 10 places you want to see in 48 hours, but your body is giving you feedback for a reason. Being exhausted in a foreign country is no fun and takes the joy out of traveling (especially if you’re cranky and not able to appreciate the journey), but you are also almost always more likely to fall ill.
I’ve learned some important lessons from practicing Yoga. Click here to read 5 things that I’ve learned about myself since beginning Yoga! Last but definitely not least! Non-comparison is not easy in today’s world when we’re surrounded by social media, and I’ve definitely fallen victim to this. Please don’t get me started on the tourist vs. traveler debate! 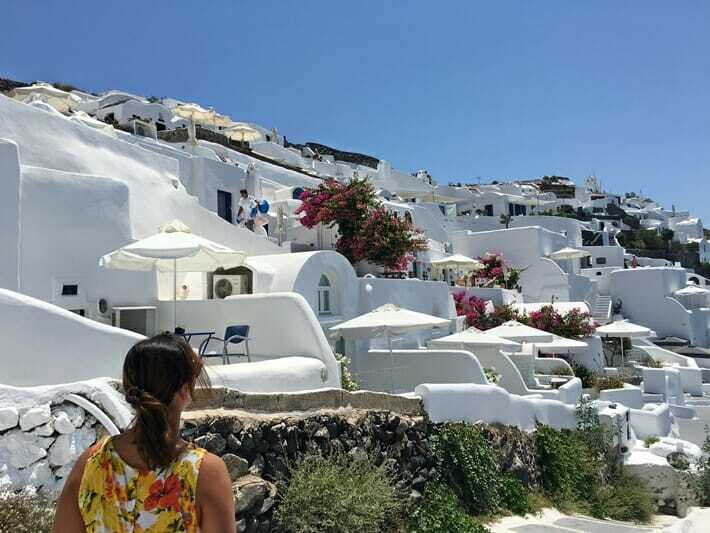 Do you find yourself looking around and thinking, “that person has visited so many more countries than me”, “that person’s photo is so much better than mine” or “that person isn’t a real traveler because so-so-and-so”? Stop! Just like Yoga, travel is not a competition and everyone has different travel styles and preferences – who’s to say one is better than another? 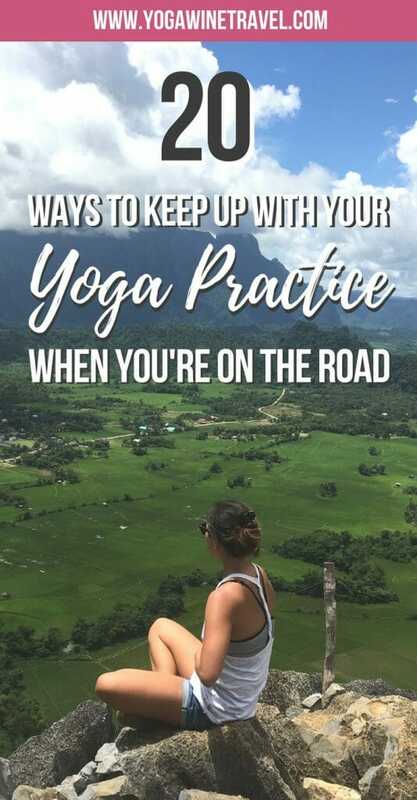 Obviously, this is by no means exhaustive, and I hope it illustrates that there is more than one way to practice Yoga while you’re traveling. Yoga has so many wonderful dimensions to explore and can complement (and even enhance) travel, so why not try some of these different avenues to get your fill? Did any of these resonate with you? 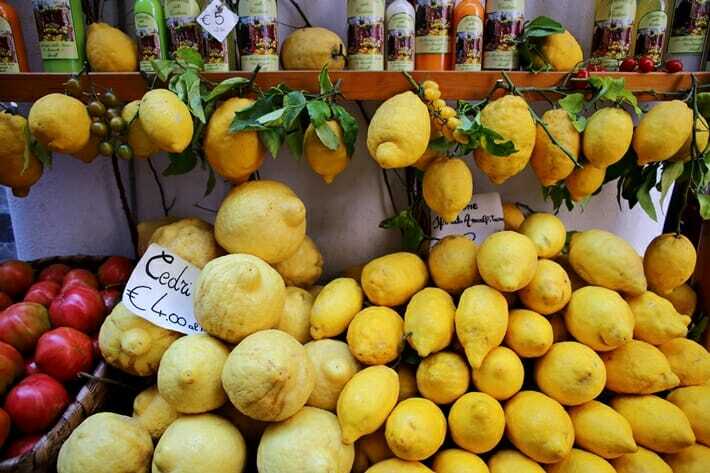 Will you try some of them in your upcoming travels? Tell me all about it in the comment section below! Interested in reading even more Yoga-related content? Click here! Ohh My God! How did you manage to click such amazing pictures of the animals. You images are so beautiful I must tell you. 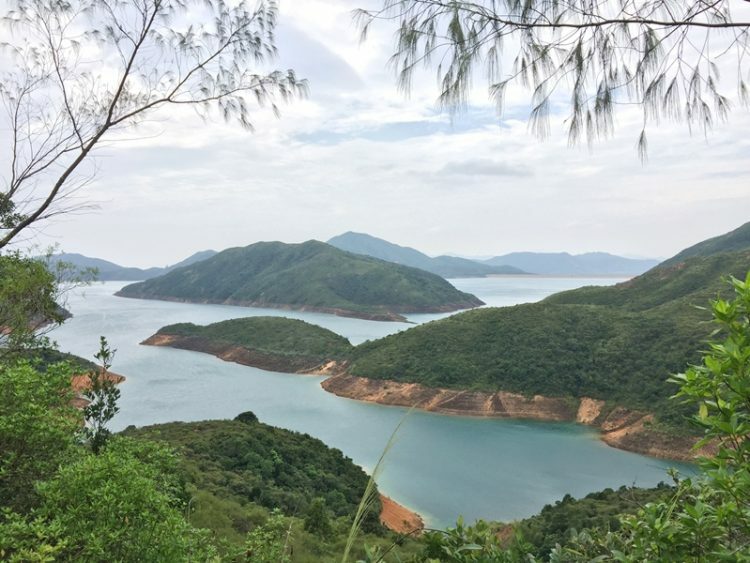 Great post with some great tips 🙂 especially about responsible tourism, I’m trying to be really careful about where we go when we travel in this sense. Hi Beth! Thanks so much for taking the time to read this. 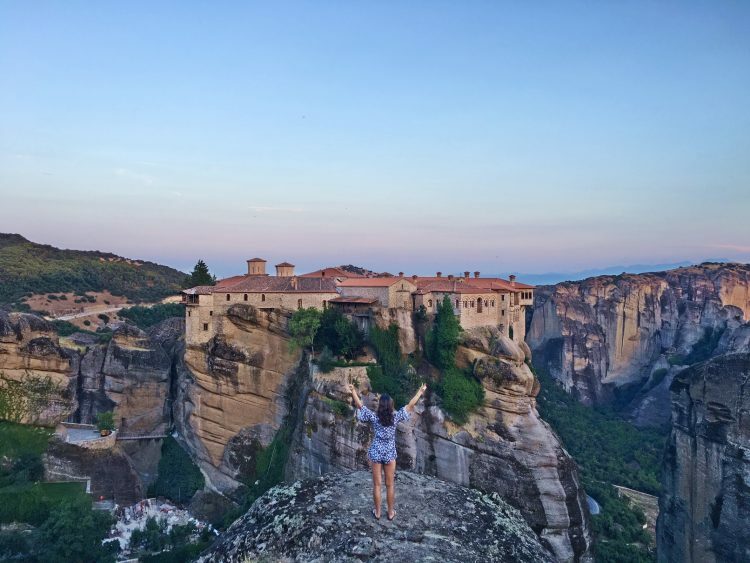 I think a little bit of research goes a long way, especially when it comes to ethical and responsible travel – I’m so glad that you found this post interesting!